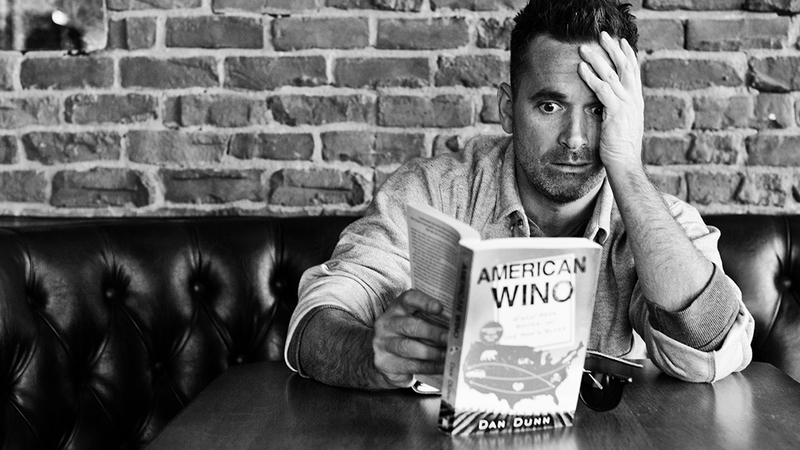 Dan Dunn's American Wino chronicles the funniest (and craziest) wine road trip since Sideways came out. F&W: What was your takeaway from the whole trip? DD: I was dealing with a lot of demons and ghosts on this trip, and wine is the backdrop for that, so a lot of the takeaway was personal. But I did learn that it's crazy what's going on in this country. There's wine being made in every state, and I doubt anyone in California knows what a vibrant scene it is in places like Texas and Michigan and Virginia and New York. F&W: What was your favorite wine you discovered on the trip? I really love the Bordeaux blend that Virginia's RdV Vineyards does; it can certainly stand up to the wines of the West Coast. Also another Bordeaux blend I had at Barboursville in Virginia. In fact, Virginia was one of my favorite spots of the whole trip. Lots of wineries, it's beautiful, and it's got a ton of history. And there's no other state that has wineries owned by Dave Matthews and Donald Trump right across the street from each other. F&W: How was Trump's wine? DD: Well, he declares that it's the best wine in America. But he also professes that he's never had a drink, either. So, how does he know? I guess he'd say he has the best people tell him. Sort of like his foreign policy. But I'd say I prefer Blenheim, Dave Matthew's winery. And I do feel better about giving my money to Dave Matthews than to Donald Trump. F&W: What was your least favorite wine of the trip? DD: I don't want to throw anyone under the bus, but I was not enamored of the wines of the Northeast. The only one that was really stellar was Shelburne, out of Vermont. They have a Marquette reserve that's a really good wine. F&W: And what was the least likely place you found wines that you liked? DD: I'd say Colorado, in an area called Paonia, on the west side of the Rockies. I liked Alfred Eames' wines—he's an old hippy, doing interesting stuff like Tempranillo. Paonia is where they used to grow weed, before it was legal. Now I guess you can grow it anywhere there. F&W: How's the response been to the book so far? DD: Phenomenal. You know, I brought my kid brother's ashes along with me on the trip in a mason jar, just me and him, out on the road for six months. It was really transformative. When I left I was in a bad way, and you do spend a lot of time alone with your thoughts on the road, but there was something magical about waking up each day and not knowing who I was going to meet, what the wines were going to taste like. I was determined to write the most honest book I could. I mean, dead brother, bipolar mother...seriously, it could have been like the worst Lifetime movie ever. But I think it turned out good, and people are really responding to it.